What’s more iconic to Hawaii than the flower lei? 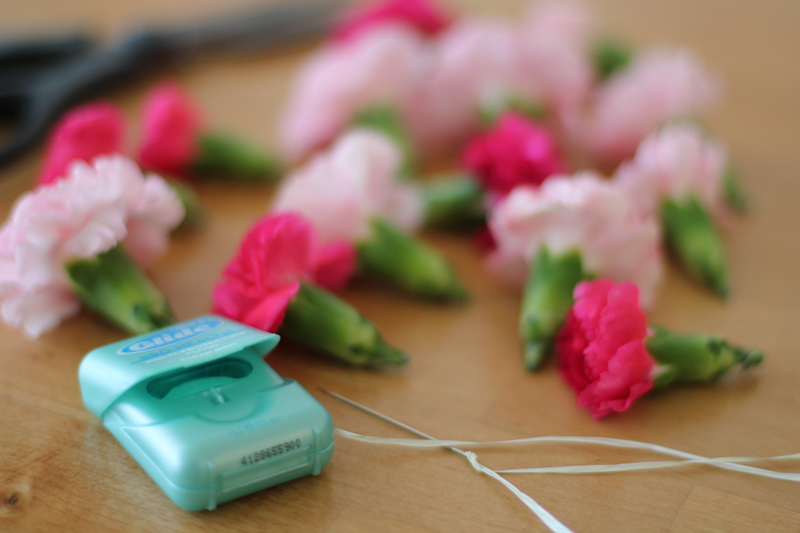 I’m kicking off my new Flowers 101 how-to series by showing you how to make your own lei! The flowers you select need to have a sturdy stem/head. Plumerias and orchids are the most common flowers used for traditional Hawaiian leis. 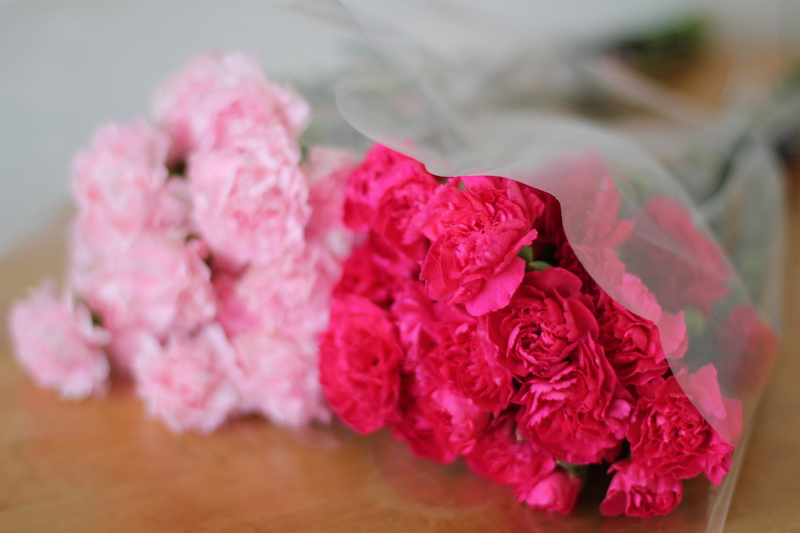 Carnations, daisies, and roses are also really popular varieties. I used 44 mini carnation flower heads for this lei. Buying two bunches was more than enough to accommodate this quantity. You can easily find affordable flower bunches at Costco or Sam’s Club wholesalers. This is what you will string your lei with. You can use thread or fishing line instead, but I prefer dental floss because it is sturdy, easy to use, and convenient. Starting and ending from the back of your neck, measure how long you desire the lei to be. Once you have established how long you would like the length to be, double it. After you have doubled that length, add an additional 4-5 inches to ensure extra string at the end to tie it off. Don’t stress! There is no exact science for this. Just make sure to have enough string/floss to work with. When in doubt, use more than anticipated. You can always cut off the excess. Take the floss and string it through the eye of your needle. Place the needle in the middle of the string. There will be equal lengths of floss on both sides of the needle. About 4-5 inches up one end of the string, tie a knot. You may need to tie several knots at the same spot so the knot is large enough to block flowers from sliding off. This is where the first flower of your lei will be strung to. Ensure there are a few inches of extra string here so you can tie off your lei when finished. Take your needle and begin to string your first flower. 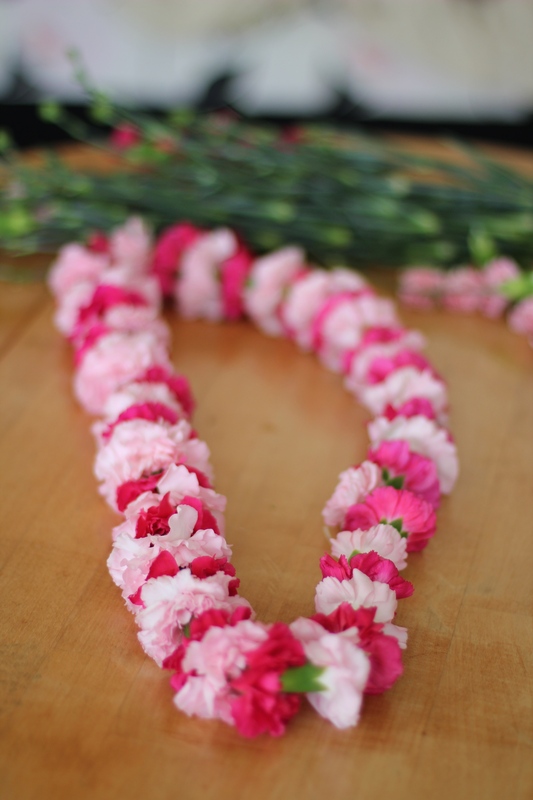 Usually, the lei is strung through the flower head“face first”. Insert the needle into the face of the flower. Pull the needle through the stem end. Continue pulling both strings through until the flower is in place. The first flower will stop when it reaches the end knot. Continue to string flowers until the desired # of flowers is reached. 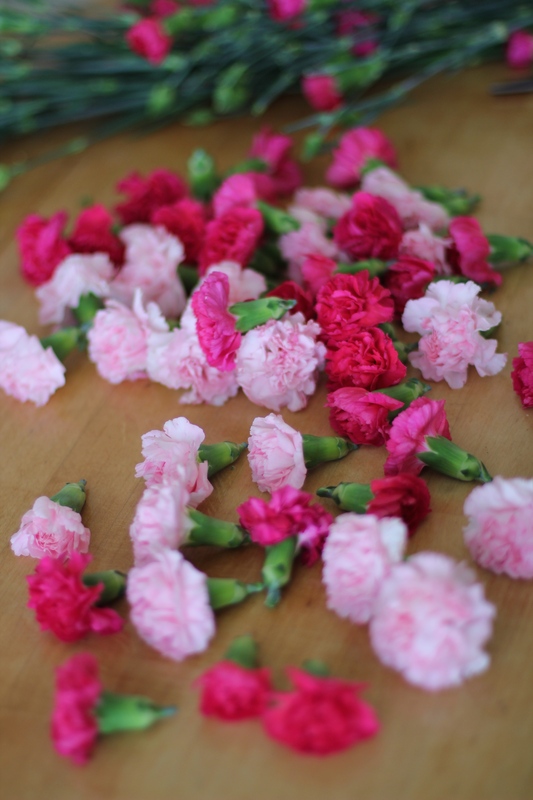 Once you are done stringing all flowers, tie the two ends of the floss/string together in a double knot (at least). There most likely will be excess string. You can cut off these loose ends after you have tied off the lei. Congratulations! 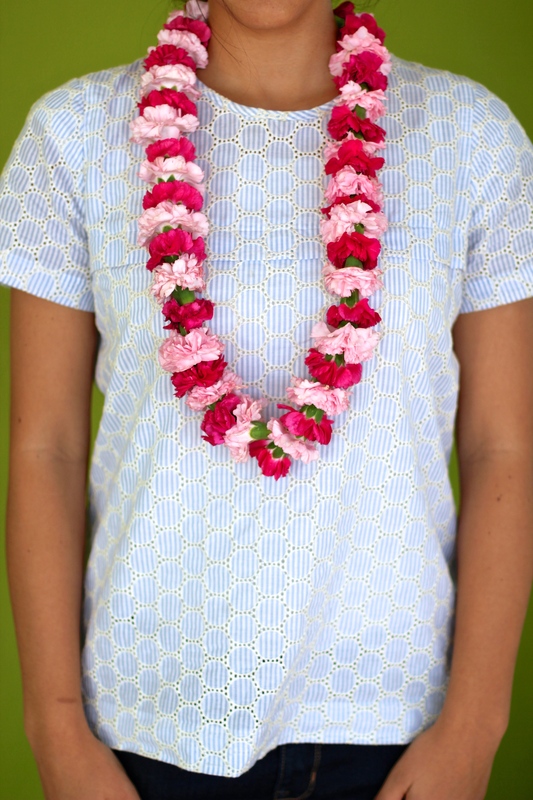 You made your very own lei. Sport this beauty around, or share it with someone special. Leis are a great way to show congratulations, support, and of course aloha!